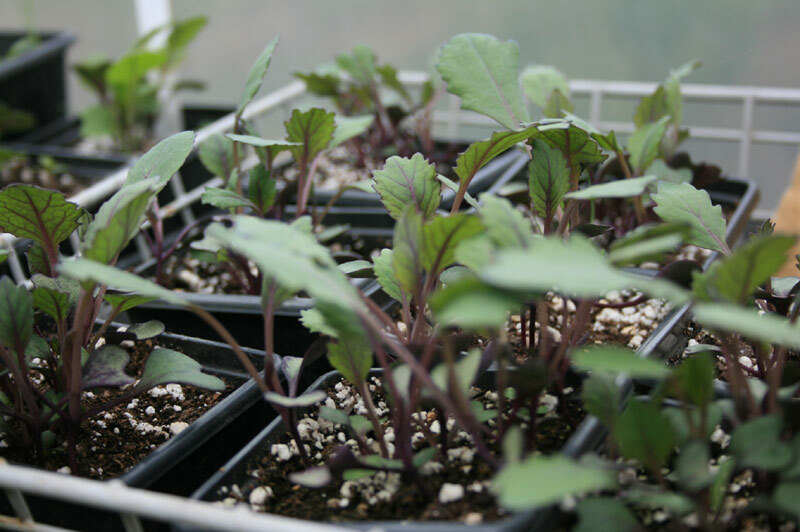 We’ve had a lot of emails around the subject of plant breeders rights and if it’s possible to start your own little plant nursery without running into problems. PBR is essentially a pay to grow scheme, which originated with a number of wheat breeders back in the 50’s. Much like today the originators of the scheme wanted to protect their investment in producing new varieties. More recently in June 1997 the Labour Minister of State for Agriculture introduced a new Plant Varieties Act to MP’s which essentially strengthened the position of the breeders and introduced many more varieties of plants under the protection of the scheme. The problem was and still is today proving the breeder owns the rights to the plant. Among the objections raised is if a plant came from the original variety potentially over a 100 years ago by definition any ‘right’ to propagate that plant can’t be proved, can it? Either way PBR is here to stay (for the moment anyway) and we small growers need a plan if we’re to pursue our passion for growing and selling plants. 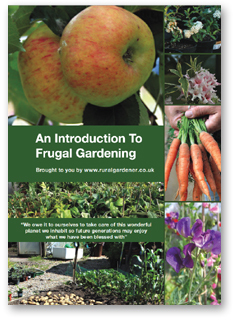 Is it still possible for small growers to propagate plants for a profit? PBR is difficult territory to say the least but I think there is a way forward. 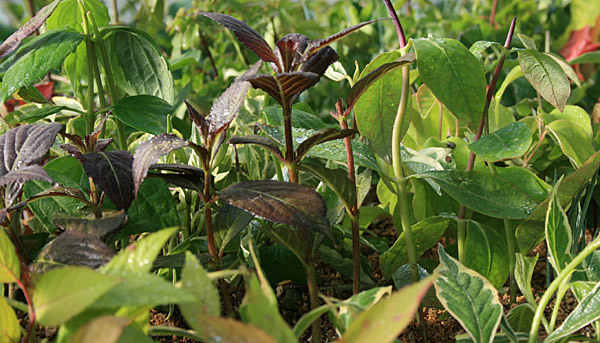 A large proportion of the modern cultivars are covered under PBR, so probably best to steer clear of those if you’re propagating your own for sale. Check the label and look for the PBR logo and the PBR registration id. If they’re not on the label then you’re going to have to do a little more research. The CPVO web site is as good a place to start as any. I think the safest route is to seek out plants that are not covered by copyright, patent or plant breeders right and start building a collection from there. 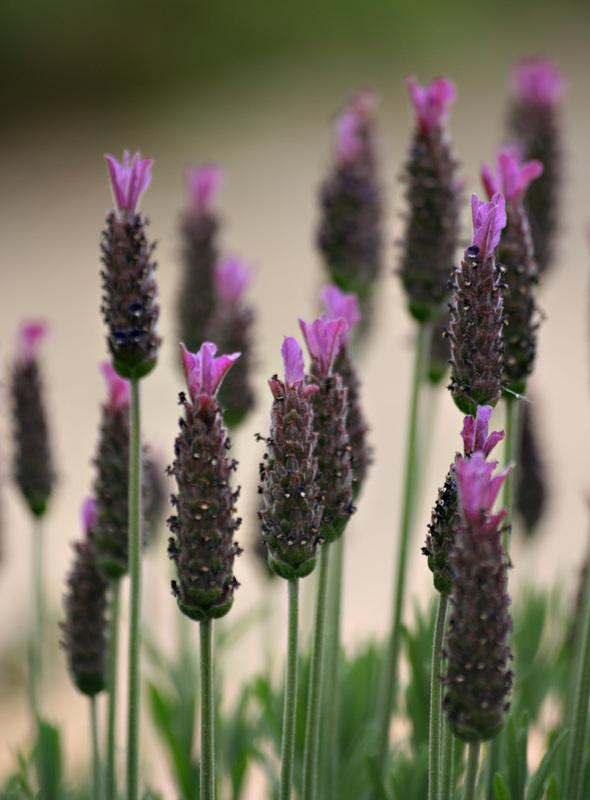 There are so many wonderful old varieties out there that people love to grow and more than enough for the small plant growers to kick start a little plant nursery business. 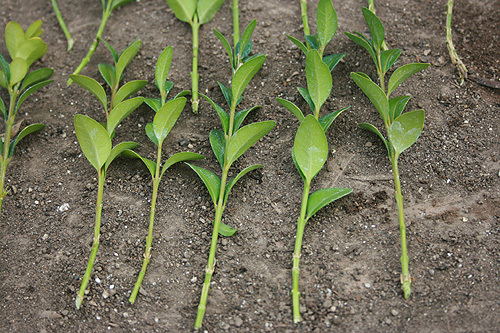 If you really want to grow and sell the modern cultivars then you can always try and track down the owner of the registration and negotiate a license fee, or perhaps work out terms around legitimately taking cuttings for resale. All I would say is I’ve tried it and it’s not easy! Where do TRG stand on this subject? I’m pretty clear on where I stand with regards to PBR. I don’t preoccupy myself with it as I don’t believe the people who buy my plants really care where the plants come from, they’re more interested in what they look like, if they have a scent and will they grow in my soil! I appreciate PBR is there to protect the plant breeders investment, but I don’t like the idea of the small growers like you and me being deterred from making a few extra pounds to support our hobby. If the big growers want to grow and sell PBR protected plants then that’s ok … I just not going to raise them (knowingly) myself. There is too much fun to had elsewhere. That’s fine but I’m worried out being made to look like a criminal? I know of no one that has been fined for selling PBR protected plants … at least not the small growers like you and me. PBR remains a grey area and peppered with inconsistencies, but it’s here and here to stay so my advice? 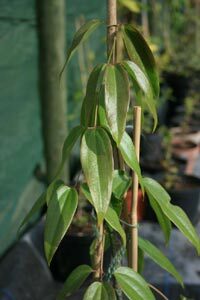 If you’re unsure about a plant’s origin then don’t put it up for sale, other than perhaps from a table at your local charity event or bring and buy sale. Will PBR put TRG off selling plants in the future? PBR will not put me off pursuing my passion. My advice to anyone else worried about PBR is, don’t get distracted by it too much or you’ll never get started! Seek out those plants that are not protected (at least for now) and grow as many of them as you can so we can keep them out there for us all to enjoy. 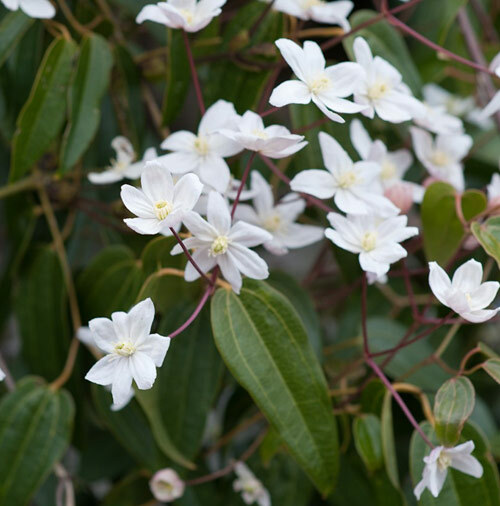 We sell traditional old cultivars in our back garden nursery, which is fine as there are hundreds of varieties to choose from most of which are real beauties! We’re also looking at becoming a registered reseller for certain varieties, but it’s early days and selling the unprotected cultivars is our preferred route for now. We also include a little logo on our plant labels which we hope will come to represent plants that are free of PBR in the future and provide others like us with plants they can confidently start growing for their own stock. As we seek out more varieties we’ll share them with our readers and periodically publish a list of known PBR exempt plants which we hope might prove useful to other like minded souls. If you’d like to know more about PBR protected plants there are some excellent posts out there. 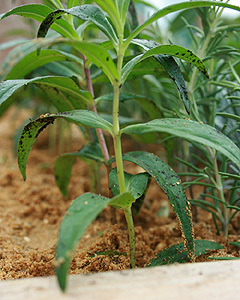 http://www.callygardens.co.uk/ – The proprietor has much to share around PBR. http://www.callygardens.co.uk/pbr_article.html – particulary we’ll prepared post. 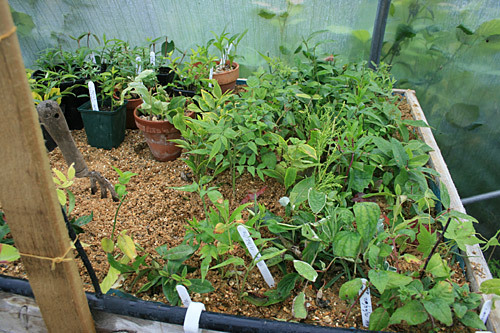 Quite a few of our readers have been in touch and asked for some information about how to build a simple mist system for raising cuttings. 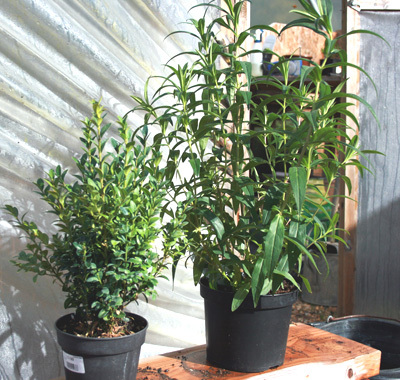 I have to say if you plan to raise your own cuttings perhaps for your own little nursery venture you can increase your chances of success twenty fold by installing some form of mist system. 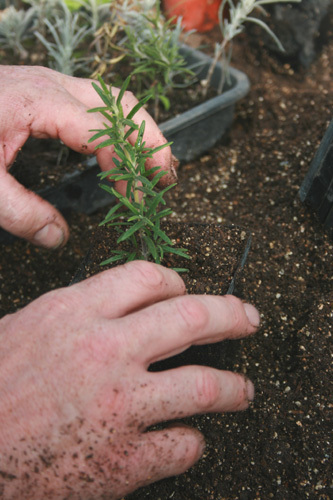 Essentially what you’re trying to do is create a moist atmosphere around the cuttings to stop them expiring through the leaves and ultimately drying out and dying. 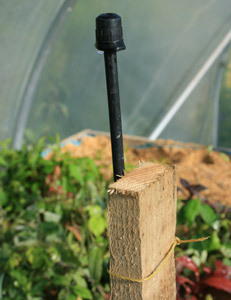 A hose to deliver the water to the cuttings. I use commercial black polyethylene pipe which you can buy from any good wholesale garden supplier. Mist nozzles and rods – how many is dependent on the size of your cutting area. I think every two feet is about right, but of course that depends on the spread of the nozzle. 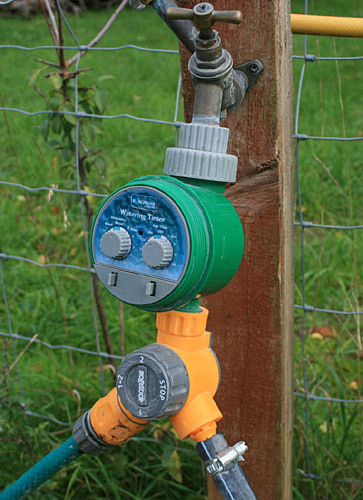 A Timer to regulate the flow of water. I bought mine on eBay for £15 and is powered by a couple of small 9 volt batteries. There are a few on the market but look out for one that has adjustments for both duration and frequency. Also make sure it has an override option in case you need to attach a second hose. Although you will have to invest some cash while you set up, look at it as an investment in the future. 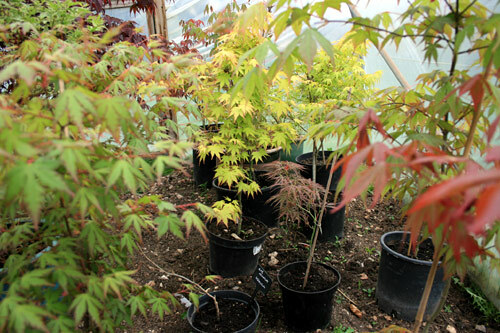 Anyway, when you hold your first plant sale you’ll recoup the investment many times over! There are some pretty fancy timers on the market but for our small venture I thought we’d start small . The one in the picture was bought on EBay for £15. It’s done well and it’s just finished its second year and still works just fine. Just remember to remove the battery’s at the end of the season or you’ll come back to leaking or corroding battery’s. They operate on fairly simple principle. 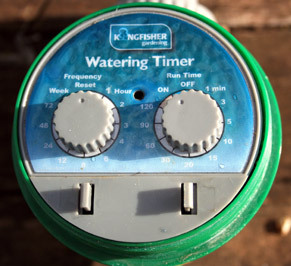 There is a dial for adjusting the hourly rate, and a dial for adjusting the length of time the water will flow. 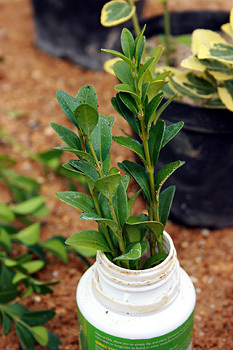 As soon as the cuttings are growing away I stop misting altogether and water from a regular watering can. 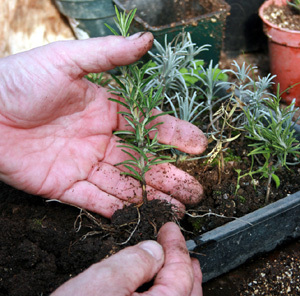 Measure how much hose you need to reach your cuttings and add another couple of feet for spare. Plug a stopper at one end of the hose and fix the other end to the timer. 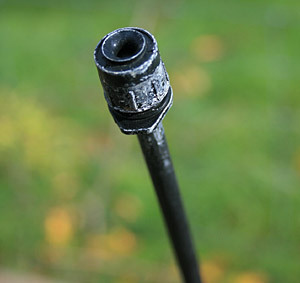 You can buy mist rods from most good garden wholesalers.This is a close up of where the rods fix to the hose. The nozzles have a sharp end which you push into the hose until they can’t go in any further. If you use heavy duty black hose you’ll need to break the surface with a nail or sharp object. Just don’t be too heavy handed or you won’t get a decent seal. 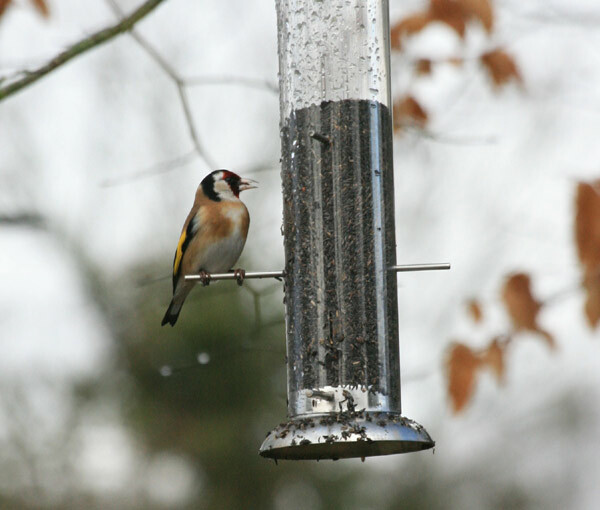 The mist head is usually sold with the upright and fits onto the mist rod. In the picture below you’ll notice I’ve added a split hose connector to the timer. This is because we only have a single tap in the nursery so on occasions we need to divert the supply to a second hose for the polytunnel. You can also see where the black hose is fixed to the connector with a small jubilee clip to produce a good water tight seal. The nozzles we use are fairly flexible and can fly all over the place if you don’t fix them down in some way. Easiest thing to do is fix a length of timber in the ground or to the side of your cutting box and tie the mist rod to the timber. Looks a bit rough and ready … but it does the job just fine. This isn’t a great picture but you can just about see the hose and mist rods on the front of the cutting bench. I’ve fixed the hose to the bench using 15mm plastic pipe connectors. 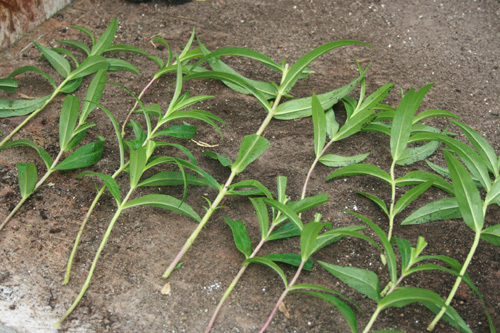 If you’re planning on installing your own mist set up I would definitely recommend growing your cuttings in sharp sand to ensure good drainage. I use a basic box construction filled with builders sharp sand and nothing else. These are some of my cuttings from earlier this year and I have to say pretty much all of them have grown into good size plants which is why I’m such a great advocate of growing softwood cuttings under mist. John is planning to produce a short video explaining step by step how you can build your own basic mist system so don’t worry if any of this doesn’t make complete sense as it may be better explained in a video. I hope you found this useful and if you have any questions about setting up your own mist system do feel free to drop me a note at ruralgardeners@gmail.com and we’ll try to help if we can.